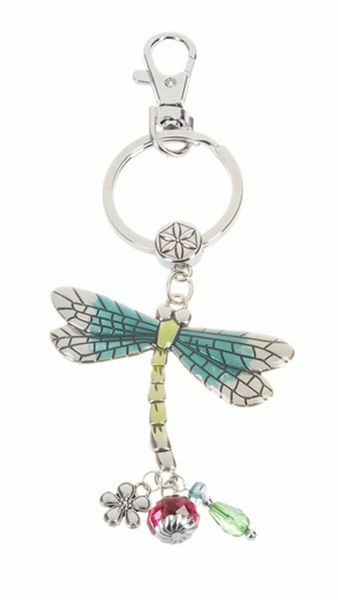 This beautiful Ganz Dragonfly key ring (Style ER578800) has great detailing. It is made of sturdy zinc embellished with colored enamel. It has three small mini dangling charms: a flower and two colored glass beads. Ganz keyrings make wonderful graduation and hostess gifts. Ganz keychains can be used on diaperbags, backpacks, purses and more.